Holder plans to make the announcement, which was first reported by NPR’s Carrie Johnson, at a press conference at the White House on Thursday afternoon. The 63-year-old will call his tenure as attorney general the “greatest honor” of his professional life, according to a Justice Department official. President Barack Obama, who has a close personal relationship with Holder, will not name his successor on Thursday and has not decided on a replacement. 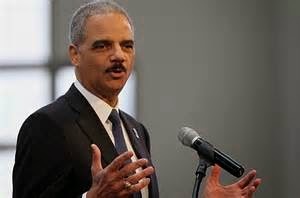 Holder discussed his plans with Obama on several occasions over the last few months, and finalized his decision at the White House residence over Labor Day weekend, according to a DOJ official. If Holder stays in office until December, he will become the third-longest serving attorney general in the history of the United States.